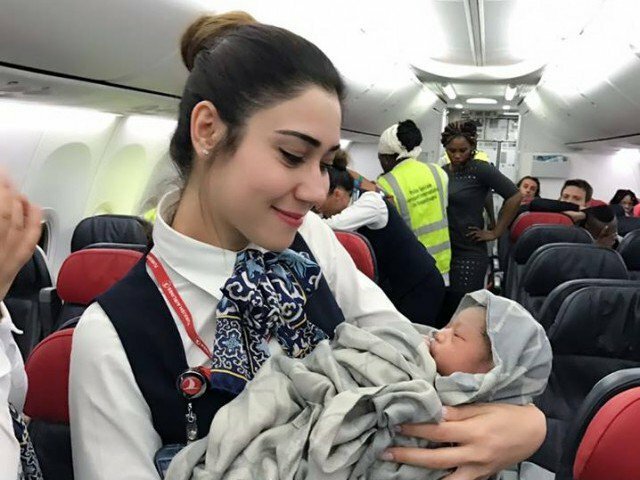 A French woman has given birth to a baby girl during an Istanbul-bound Turkish Airlines flight. Guinean Diaby Nafi gave birth to ‘Kadiju’ mid-flight with the help of the trained cabin crew on Friday as the aircraft was on its way from Conakry, Guinea to the Turkish city. The woman, said to hold French citizenship, developed labour pain shortly after the flight took off from the African country.